John O'Connell Ltd provides professional building services for both residential and commercial projects. Trading for 15 years, we have built a reputation for our innovative design and attention to detail. We provide a fixed price quotation for all projects and pride ourselves on finishing all projects on time and within budget. John O'Connell has built a solid reputation working on numerous building projects from landscaping to extensions, conservatories and new builds. We are proud to say that most of our work is by recommendation and that although the company has grown we are still happy to take on smaller contracts and repairs. Working in the Essex and Suffolk counties, we have gained expertise in working with historic buildings and are aware of the extra care and specialist materials that are needed when restoring listed or period properties. We have worked closely with bodies including English Heritage and have a good understanding of the legislation involved in restoring and repairing listed buildings. If you are extending your property or designing a new build, we can work these time-honoured skills into creating brand new timber-framed and heritage style homes that have a traditional look and feel with every modern innovation built in. Most often, our customers simply want more space, either to cater for a growing family or to create bespoke facilities such as disabled modifications. 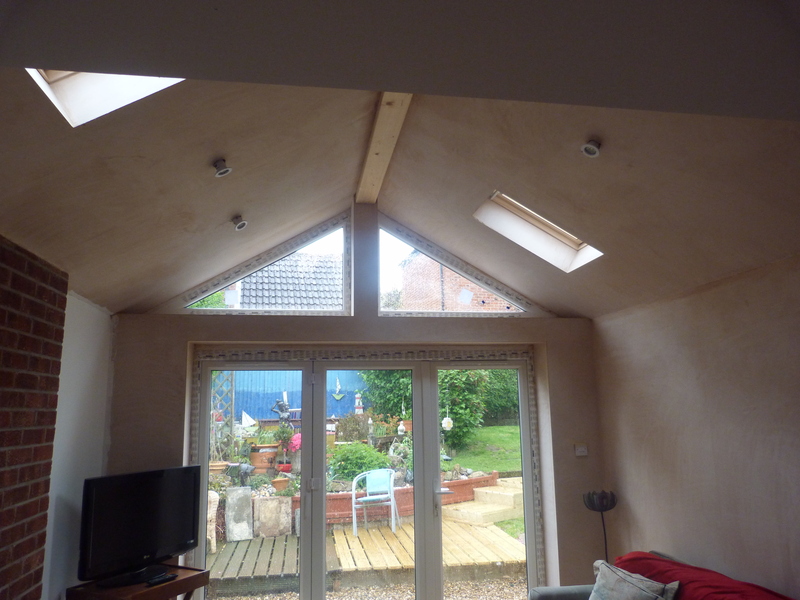 From our first discussions, we aim to design and create the perfect space for you and our customers are usually surprised at how well their new extension, conservatory or loft conversion works in to their existing property. All our work is fully insured and guaranteed and we never rely on estimates. Our fixed quotation at the start of the contract means our customers can relax without having to worry about any nasty surprises at the end of the contract. Don't just take our word for it - read our customer testimonials. Just look at this stunning Kitchen & Family Room Extension, featured in Essential Kitchen Bathroom Bedroom Magazine, for which we were delighted to be the main contractor. Kitchen by Davonport, accessories from Jim Lawrence. The service from the team at John O'Connell Building Solutions was efficient and on time as promised. The tradesmen were friendly, courteous and tidy. Workmanship was professional and the courtesy call after completion of the work meant we would always consider using the company again. John O'Connell Building Solutions were recommended to us via our neighbours and we were not disappointed. They provided an excellent, competitive, courteous, professional service throughout the build of our Granny Annexe. On the odd occasion, and it was only the odd occasion that concerns or issues arose, John and his team dealt with these immediately without question or hesitation and worked with us on a number of changes that we implemented from the original plans whilst the build was progressing. As a result of the high quality work we extended the original job to include not only the build of the annexe but also a new rear garden patio, new block paved driveway, new porch to the main house, and at a later date a new rear garden fence. Would we hesitate to recommend John O'Connell Builders? Not at all, we already have recommended the company to others! We would like to thank John, Mij and the team for transforming our property over the last few months and giving us the solution to combining work and family life with their creation of an outdoor office-space in our garden. This has enabled us to gain back our third bedroom while expanding our home-business. In addition to the garden office, the team have provided us with a large outdoor recreational space in the form of a patio area with plenty of space for outdoor dining during the summer and for the children to play in too! They also changed our front drive from an ugly, uneven and unsafe tarmac to an attractive, level and safe paved area for our cars which means off-road parking from now on! We have been particularly pleased with the high quality of craftsmanship involved in this project: from the design-phase, to groundwork and later to office construction, wall-building and patio and pathway-laying. We would therefore thoroughly recommend the company for their speed with this project and their attention to detail in both planning and implementation stages. We found all employees polite, professional and reliable and were particularly impressed with their tidiness and thoughtfulness for the disruption to our daily family life. Thank You! Feel free to have a look around our Gallery and see some of our completed projects. Our team of experienced professionals can do just about anything!